The cottage is an independent, two-bedroom house with shared use of a sun terrace. 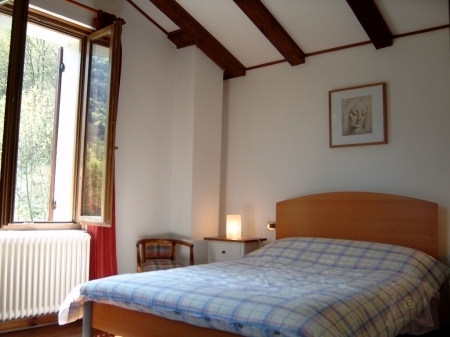 Both the double bedrooms have wood floors, exposed beam ceilings, beautiful views of the Piave valley and 11th century Basilica di San Vittore e Corona. There is a large, modern bathroom with shower, basin, bidet and toilet. The country kitchen has a rustic look but comes fully fitted with modern appliances, including a dishwasher. The living area is part of the large kitchen space. There is also TV (English-language videos of request). In addition to the rest of the gardens and land there is a deck which is perfect for use by the cottage.